Just what is folk horror, and why is it so popular? Any of you who follow me personally on social media will probably be aware that I’m currently deep in pre-production on my second feature film, a horror called ONUS. We start shooting on the 3rd of September and so I figured now was as good a time as any to talk about my favourite horror sub-genre, folk horror. What is folk horror? Well, that’s a rather spectacular question, and one that doesn’t have the easiest of answers. It’s term was popularised by Mark Gatiss in his BBC mini-series A History of Horror (which is well worth a watch if you haven’t already), but he never really defines it. There have been lots of different interpretations of folk horror, but the most widely accepted is that it relates primarily to three films from the late ‘60s and early ‘70s, collectively referred to as the ‘Unholy Trinity’. These films are Michael Reeves’ shocking and stark fictionalised portrayal of the exploits of real-life Witchfinder Matthew Hopkins, Witchfinder General, Piers Haggard’s unsettling tale of a small community set upon by an ancient evil, The Blood on Satan’s Claw, and Robin Hardy’s infamous The Wicker Man, about a police sergeant who finds himself isolated on a small isle in search of a missing girl. When you look at these films together you might not see much of a connection beyond the fact that they’re all British and that they all have some aspect of horror. Witchfinder General plays more like a historical drama than it does a horror film (although that’s not to say there aren’t some horrific moments), while The Blood on Satan’s Claw is the most obvious out of all of them, featuring out and out supernatural elements and genuine scares. The Wicker Man is a strange beast even within the trilogy, playing like a folk musical infused with a police procedural, climaxing with something straight out of a nightmare. So why are these films even placed together, and what is it about them that makes them “folk horror”? Well, there are certain similarities between the three outside of the obvious. They all have an emphasis upon the landscape and upon the dark history of Britain, they all deal, in one way or another, with people’s own beliefs, be that religious or moral, and, perhaps most importantly, they all have a strange, almost folklore quality. See, that quality is arguably the only real criteria for what makes something a folk horror. And it’s because of that quality that films as varied as Ben Wheatley’s Kill List, Tobe Hooper’s The Texas Chain Saw Massacre and Eduardo Sanchez and Daniel Myrick’s The Blair Witch Project have all, at one point or another, been considered a part of the folk horror canon. Folk horror is the hardest of all horror sub-genres to pin down. One can easily identify a slasher movie, a ghost story or a body horror, but with folk horror things are always a little more complex. Any one of those three sub-genres can also fall within the folk horror canon. More recently we’ve seen a kind of resurgence in films with a definite folk horror streak, including the aforementioned Ben Wheatley, but also Rober Eggers’ The VVitch, David Bruckner’s The Ritual and even the comedy troupe The League of Gentlemen, all of which, in one way or another, have something that makes them recognisable within the sub-genre. The excellent Evolution of Horror podcast have recently finished a series covering folk horror, and if you want a real in-depth look at just what it is about these films that means they fall into the category then I strongly suggest you check out (I mean, you should just check it out anyway because it’s an awesome show and well worth your time), but for now I’m just going to say that they all have a similarity in tone, style and the way they make you feel. Often folk horror deals with the idea of the old world taking back control. Society may have tarmacked over the landscape, but we can’t escape its grasp. Unlike the slasher genre, with its strict rules (masked killers, final girls and horny teens) folk horror has no boundaries. Edgar Wright’s 2007 action comedy Hot Fuzz has a definitive folk horror streak, dealing with an isolated community with a shared belief that seems unusual and even frightening to an outsider. In many ways the film shares a lot of similarities with The Wicker Man, and often folk horror will see some from a big city or modern society attempt to integrate themselves into the country way of life, only for it to backfire on them. So, without any rules and clear-cut guidelines how can we ever hope to identify folk horror really? Well, it is difficult, and debate rages on about what technically classes as folk horror and what doesn’t (which is perhaps what makes it the most fascinating of sub-genres, at least in my opinion), and there have been attempts to lay down the tropes of the genre, but there are so many disparate films and they all conflict in one way or another. Although created to refer specifically to the ‘Unholy Trinity’ folk horror is a broad sub-genre and many films have even been retrospectively fitted to the canon. 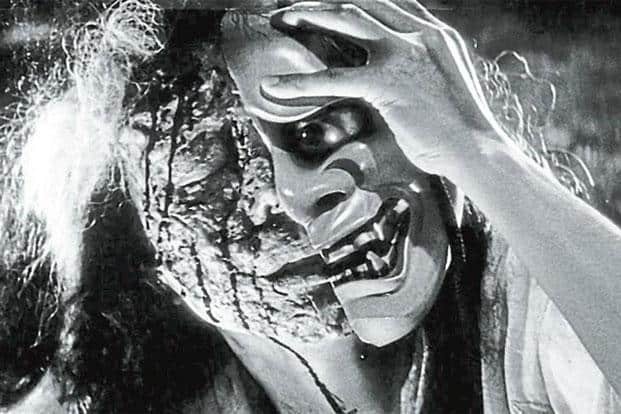 1966’s Hammer output The Witches, directed by Cyril Frankel and based on the novel The Devil’s Own by Norah Lofts has often been referred to as folk horror, while 1964’s Japanese historical drama Onibaba is, by many, considered one of the great folk horror films. Folk horror, then, is really whatever you want it to be. And that might sound a little strange about a sub-genre of horror films, but there isn’t really any other way to describe. If the defining films in the genre are the ‘Unholy Trinity’ then the only ruling is whether the other films give you the viewer the same vibe. It’s such an unusual and strange sub-genre that the debate will likely never end. But what has made its popularity soar in recent years? Well, horror, perhaps more so than any other genre, is the product of the time it was made. As films designed to frighten people it tends to (mostly) represent the fears and insecurities of the society in which it was created. This is why we get so many radioactive monsters in the ‘50s and why body horror really took off in the ‘80s. In case you hadn’t noticed, politically things are kind of crazy at the moment. When we look at today’s society we see several common things across the Western world. We see a desire to return to the “old days” (whatever the hell that actually means), and we see that desire manifest itself through shocking events like Brexit and the Trump Presidency (which is scary enough in and of itself, let’s be honest). We see a world that has reportedly “had enough of experts”, that is obsessed with populism, isolationism and directly rejects a global agenda. We see fear of our neighbour. Fear of foreigners. Fear of both the old and the new. It’s all rather complicated and I don’t want this to turn into a political piece, so I’ll leave that here. Perhaps this growth in nostalgia for a better time, this need to isolate ourselves from the rest of world, perhaps that is what is playing into the growing interest in the folk horror sub-genre. Folk horror has an innate ability to capture both of those things and really feed both off of it and into it. Maybe this is why folk horror is going from strength to strength, and that we’re only going to see more. So, what is folk horror? Well, it’s a feeling, it’s a style, it’s certain plot elements, it’s all those things and it’s none of them. But whatever it is it looks like it’s here to stay, as its popularity seems to only be growing, and I, for one, am quite excited by that.